Have you been looking for a Self Defense Class Katy TX that makes sense for you? Perhaps you’re trying to make sure you are properly protected in the event of an emergency. If you’re trying to make sure you’re ready to protect yourself, Tiger-Rock Martial Arts is a great place to start. We have a team of certified instructors who can teach you how to defend yourself from potential assaults and attacks. With a proven track record of results, progress, and satisfied students, you can count on us to help you reach your goals. Nobody ever knows what’s going to happen when they go out. If you’re someone who wants to walk home from work or school late at night, we highly suggest you sign up for a class. Defending yourself is a skill that cannot be priced, and this is sometimes the difference between life and death. Whether your assailant is armed or unarmed, it’s absolutely imperative you defend your health by warding off the attacker. Our experts are here to push you to your limits and make sure you’re properly equipped with the skills you’ll need to survive. In addition to being able to properly defend yourself, you will also see other benefits of involving yourself in a program like this. Are you currently unsatisfied with your level of cardiovascular health? Perhaps you’re noticing that you’re becoming easily tired and winded after doing everyday tasks and you’re ready to improve. If so, training at a martial arts dojo could be the perfect solution for you. This is a type of exercise that will push you past your cardiovascular limits. If you’re not happy with your level of endurance, come to Tiger-Rock. You will see your stamina improve as long as you commit yourself to our program. There are mental benefits to our programs as well. When you sign up for a Self Defense Class Katy TX, you may simply feel like you’re enrolling to learn how to protect yourself. While this is the goal of these types of classes, there’s a lot more to the equation. Are you beginning to feel like you’re not a very mentally strong person? Maybe you’re trying to figure out how to become more disciplined and consistent in your endeavors, but you’re not having luck on your own. If you’re ready to find a way to improve your mentality, come to Tiger-Rock. We’re all susceptible to lapses of focus, and we want to make sure you’re able to get the most out of your mind, body, and soul. Did you know that martial arts can help you become a lot more focused on a regular basis? Studies have shown that committing yourself to a martial arts program can have a lot of positive effects on the mind. If you’re ready to improve your mental toughness and fortify your psyche, make sure you reach out to our instructors. We’ll help you get the best out of yourself and unlock the potential within. 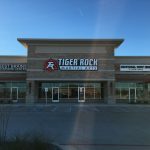 Tiger-Rock Martial Arts is a dojo that was founded back in 1983. With 150 locations nationwide, we are currently the most reputable and popular martial arts franchise in the nation. 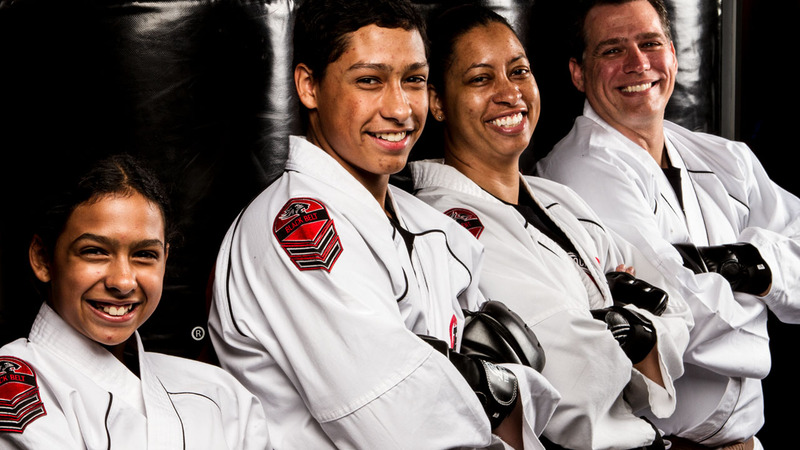 We have staffed each and every location with a team of martial arts experts and certified instructors. Our 15-step program is a great way for you to improve on a steady basis, and we’re here for you every step of the way. It can be difficult learning something as complicated and in-depth as karate, but our experts are here to help. Contact TRMA for more information on our martial arts training! We provide all of our students with a safe and challenging environment that makes it easier to hone your skills. You’re going to want to pick a dojo that can help you achieve your goals and become a better, more disciplined person in the process. 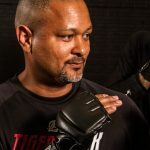 You can count on the experts here at Tiger-Rock Martial Arts to equip you with the skills you need to protect yourself in the event of an attack. Nobody wants to feel like they’re behind the curve, and this is something you won’t have to deal with in our dojo. We have students who have a wide variety of skill levels, and we’re here to make sure you don’t have to go through any insecurities of deficiencies during your time here. Are you a big fan of competing, and you’re always trying to make sure you win at whatever you do? If this sounds like you, we think you’ll fit in perfectly here at TRMA. Contact our instructors if you’d like to learn about our nationwide tournaments. We encourage healthy competitiveness, and we want our students to experience this. Give our dojo a call for details on TRMA tournament placing. Finding the right Self Defense Class Katy TX services for your specific needs is not always easy. We understand that when you’re dealing with something as serious as defending yourself, you’re going to want the best training available. If you’re trying to make sure you are properly prepared for whatever comes your way, contact Tiger-Rock Martial Arts. Our team of instructors and martial arts experts are ready to help you learn the skills and techniques you need. For more information on how we prepare you for real-life scenarios, contact us today. Katy, Texas is an incredible Texas city that nestles within the Houston-Sugar Land-The Woodlands metropolitan area. This started out as a land grant that was given to settler James J. Crawford back in 1845. Before this, our city was called Cane Island. We finally got our permanent name after James Oliver Thomas began building a town here in 1895. The name “Katy” derives from the MKT Railroad. During the early 1900s, Katy was very popular amongst rice farmers. There were many commodity crops that were constantly being harvested. Today, our city is a metropolitan hub for shopping, fine dining, and much more.